Add our Tex-Mex Chopped Salad to your salad repertoire. 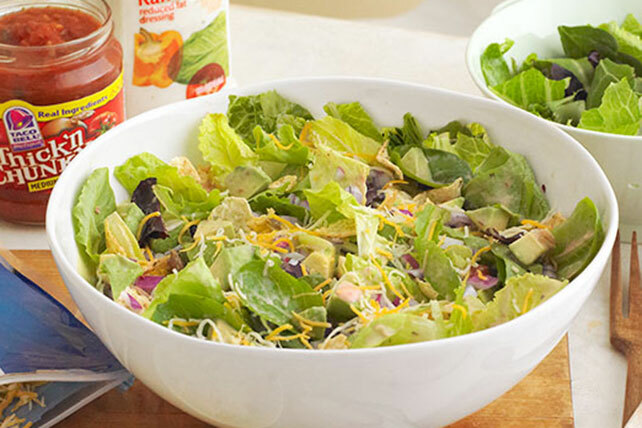 With avocado, salsa and tortilla chips, our Tex-Mex Chopped Salad is also a HEALTHY LIVING recipe. Mix dressing and salsa. Add to salad; toss to coat. Add chips; mix lightly. Serve immediately.